Our bespoke acrylic door number plaques are made from the highest quality acrylic. 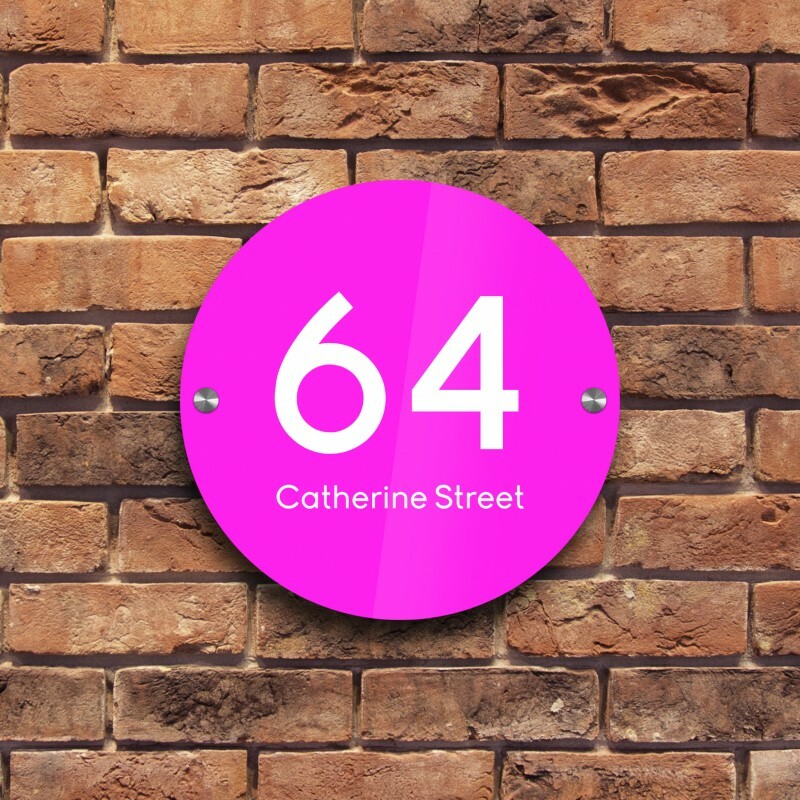 Your house number will be cut directly onto acrylic. Our state of the art laser engraving machine is an industrial marking tool. We guarantee a beautifully sharp high definition finished product. The laser will etch the acrylic plaque with your house number and road name. 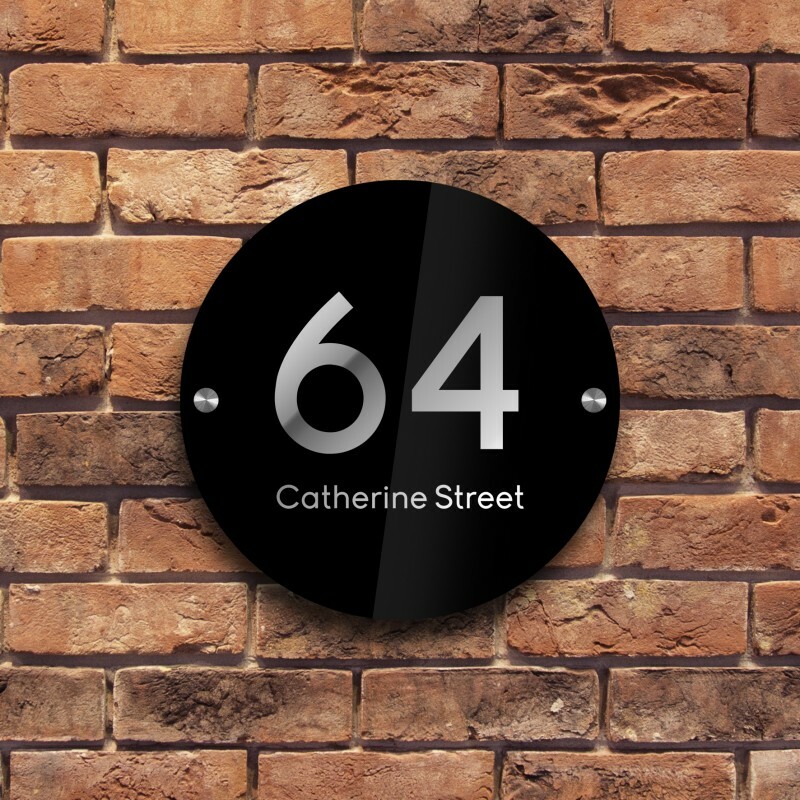 Your personalised acrylic door sign, will sit on two chrome standoffs approx. 13mm off the wall. 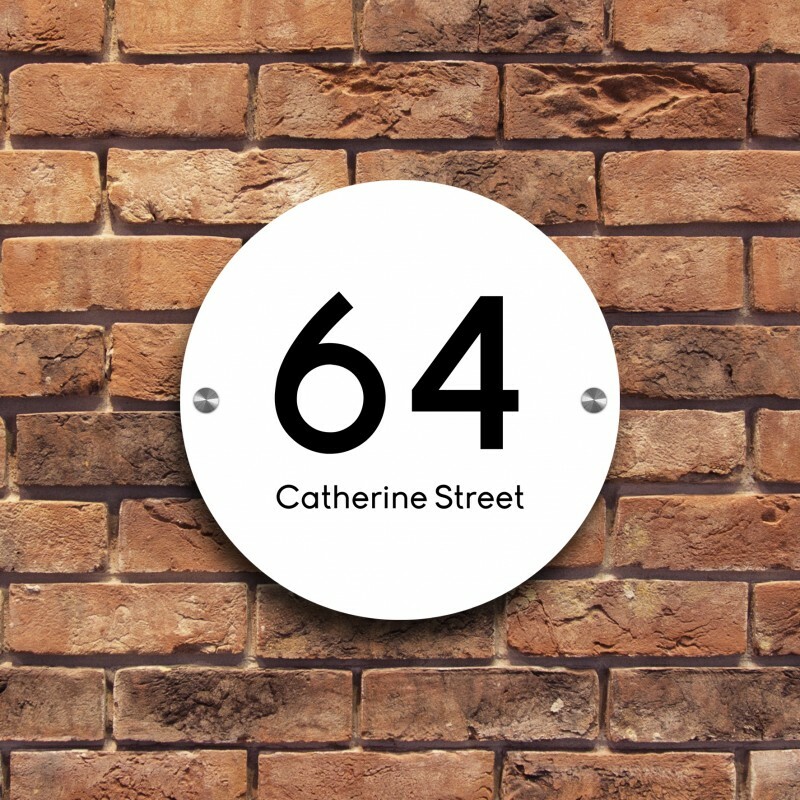 We offer these bespoke door number signs, in a huge variety of styles and sizes. 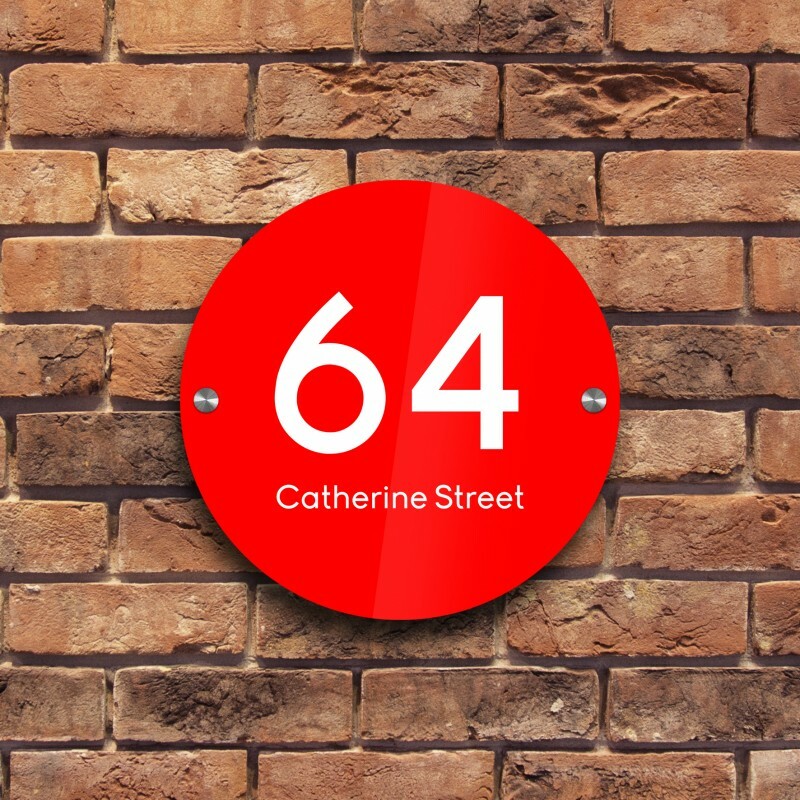 Your door plaque will come with the correct chrome stand offs, screws and have pre drilled holes, which mean you have all the fixings for an easy install. 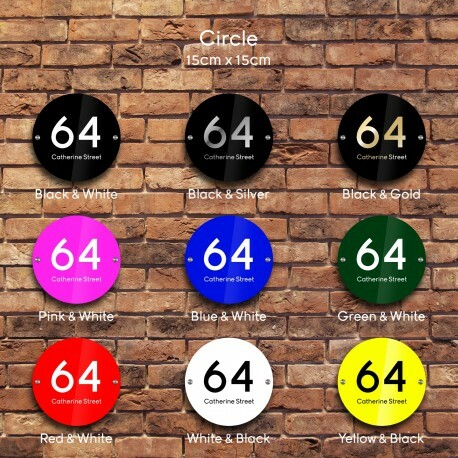 This item is manufactured in the UK using high quality acrylic. All our signs are bespoke hand finished in our UK warehouse. 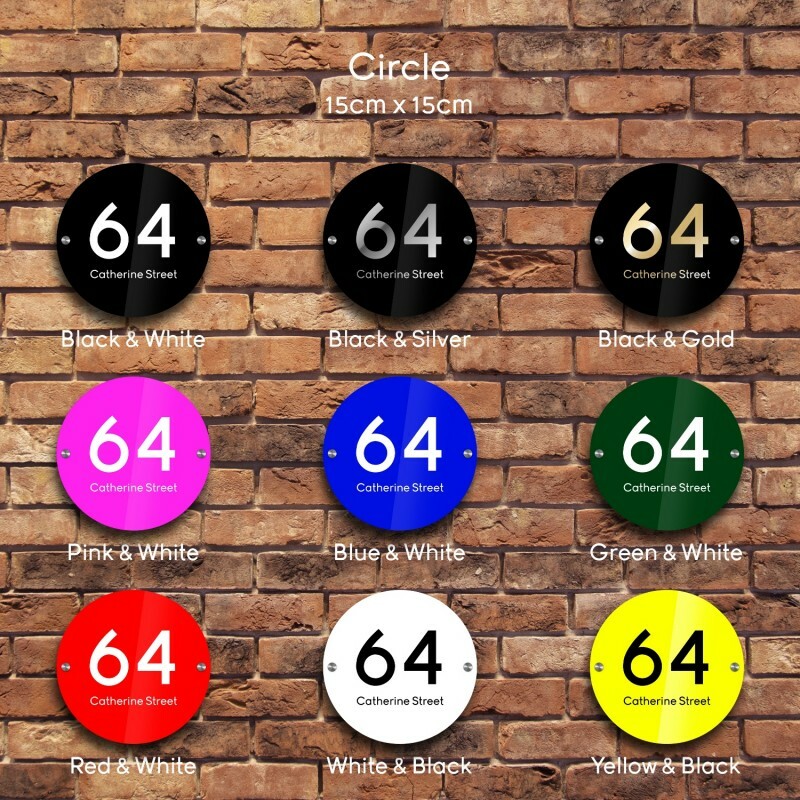 How to personalise/customise your door number; simply choose what colour you’d like and add your personal details you would like on the door plaque. Please note, when leaving the number/address you require it is IMPORTANT to ensure all spelling is correct as we will print EXACTLY as you request, so please check all spellings before completing the purchase. If you are unsure of anything please contact us before making the purchase so we can help you further. 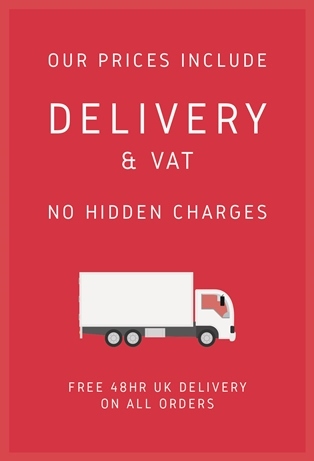 Finally, please remember all our custom made signs are made to order so are strictly non-refundable, as they cannot be resold once customized to your specification.